From the port of Piraeus there are daily depertures of Ferry Boats for Agistri. Ferry Boats accepts cars and motorbikes, apart from passengers. The trip lasts 2 hours. The ferry boat reaches first the port of Aegina island and then the port of Agistri island. 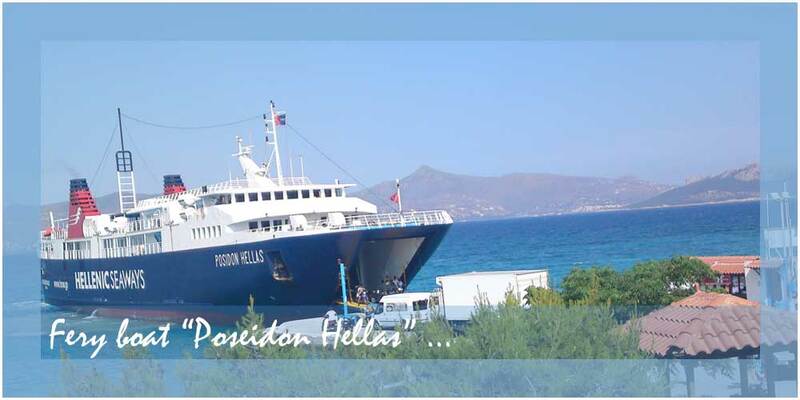 So, visitors can come from Aegina to Agistri island with the ferry boat that reaches the ports: Piraeus - Aegina - Agistri. More information at the tickets booth, inside the kiosks at the port of Aegina island. For more information about the departure of ships from the port of Piraeus, you may call the Central Port Authority in Piraeus on: 210-41.47.800. There's a voice message which will inform you about the daily itineraries.